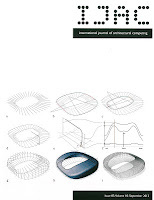 Our paper "Soft Robotics for Architects: Integrating Soft Robotics Education in an Architectural Context" has been published in the journal of Soft Robotics. Last Thursday evening Prof. Schlüter and Dino Rossi presented the ongoing work of the ASL at the Schweizer Baumuster Centrale Zürich (SBCZ). We currently have three open positions related to our research on adaptive building systems. After a week of hard work, the students of the Soft Robotics for Architects* seminar week produced an impressive soft robotic facade prototype. 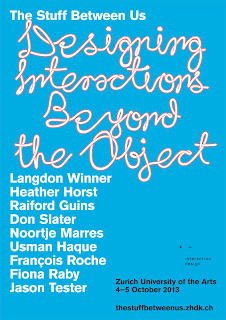 Upcoming symposium on Interaction Design in Zurich. 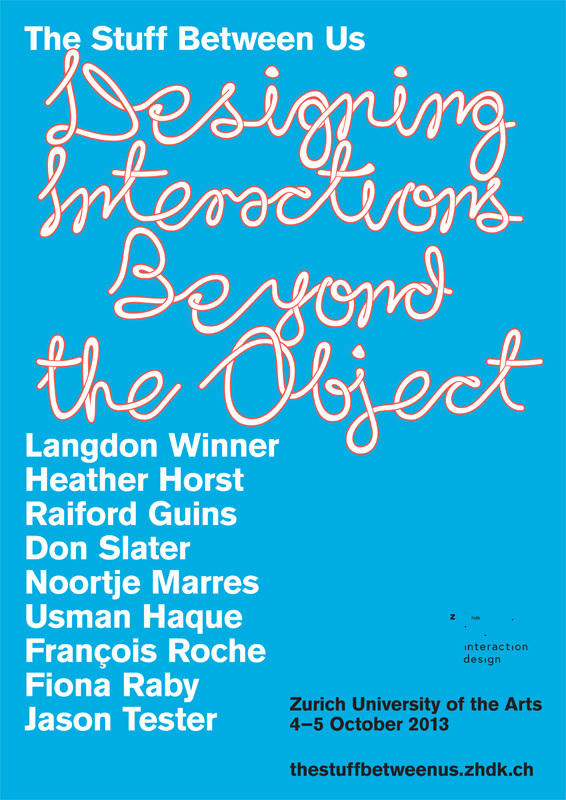 The Stuff Between Us will take place from October 4-5 at the Zurich University of the Arts.Co-organized by Karmen Franinovic (IAD ZHdK) and Björn Franke (University of Applied Arts Vienna). Speakers include Usman Haque, Francios Roche, and many more. Last week Dino Rossi presented his research on the integration of soft actuators in architecture at the International Workshop on Soft Robotics and Morphological computation. 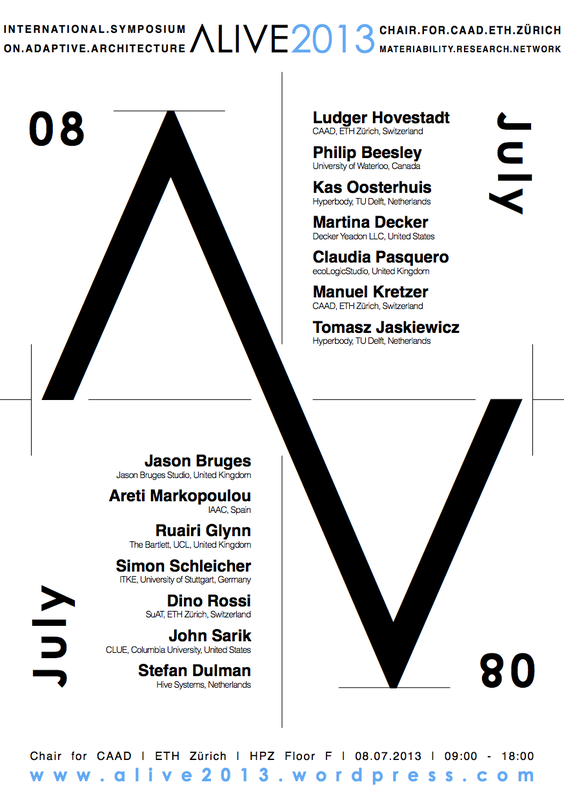 Dino Rossi has been invited to present the work of the ASL at the Alive2013 International Workshop on Adaptive Architectures. Speakers include Kas Oosterhuis, Phillip Beesly, and Ludger Hoovestadt, among others. 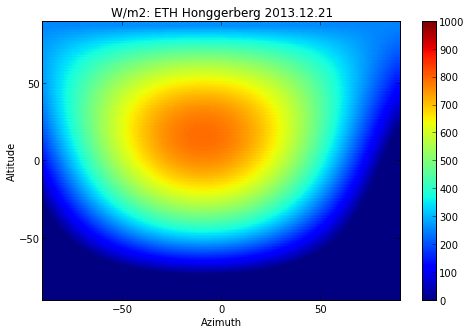 Our paper, "Simulation Framework for Design of Adaptive Solar Facade Systems" has been accepted for the CISBAT 2013 conference hosted by the EPFL in Lausanne. The paper illustrates a lightweight solar simulation framework we developed in order to address the very large simulation space required for simulating and optimizing the behavior of adaptive solar building envelopes. 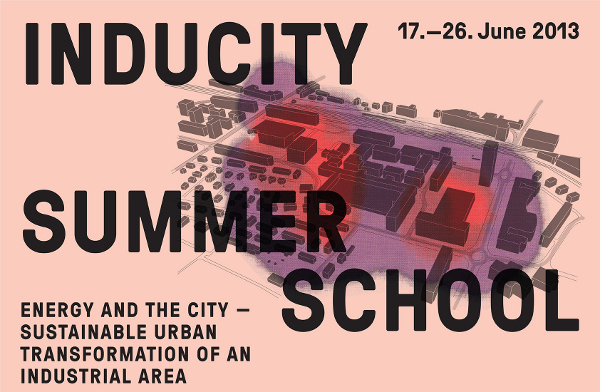 Architecture & Sustainable Building Technologies (SuAT) in collaboration with Prof. Kees Christiaanse has organized a summer school focused on Sustainable Urbanism and redevelopment of industrial zones. For more information on the summer school check out the InduCity Summer School page. 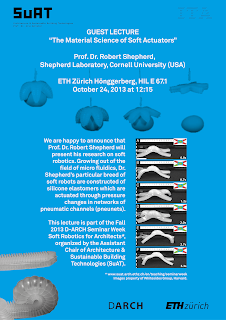 Our research on the integration of the soft actuators into architectural applications has been accepted for oral presentation at the International Workshop on Soft Robotics and Morphological Computation (SoftRobot2013). We are happy to announce the publication of our paper titled "Adaptive Distributed Robotics for Environmental Performance, Occupant Comfort and Architectural Expression" in the September issue of the International Journal of Architectural Computing (IJAC). 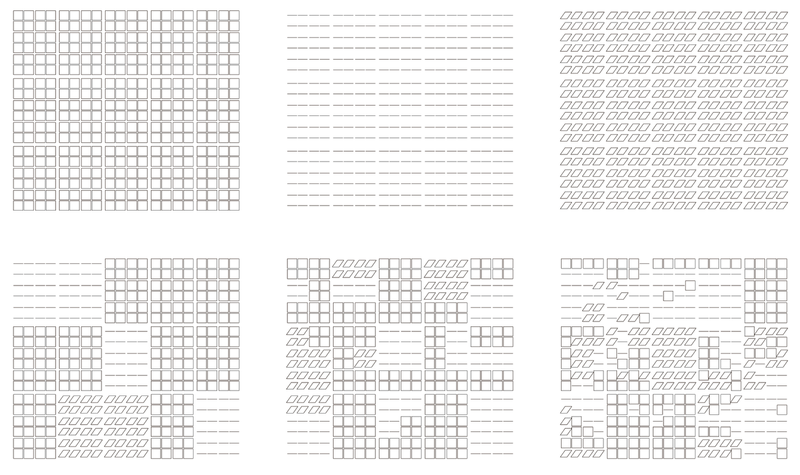 Dino Rossi has been invited to present the work of the ASL at the Chair of Information Architecture at the ETH Zurich. The Torre David project (by Urban think Tank with contributions from SuAT) wins Golden Lion prize at the Architecture Biennale in Venice! 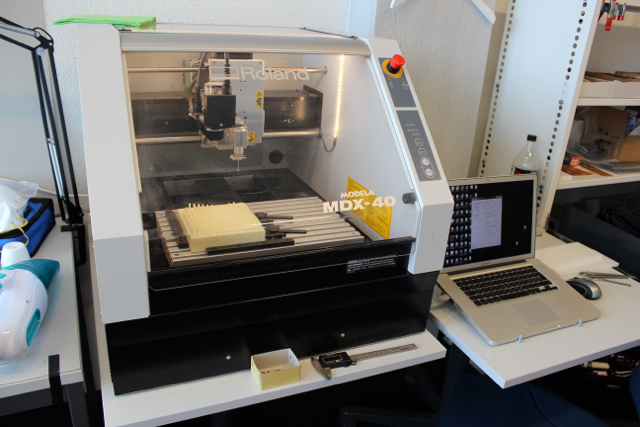 Our friends over at the Raplab have generously loaned us their "Mobile Prototyping Unit", a Roland MDX-40A desktop cnc mill. 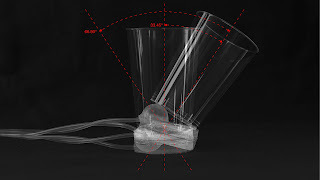 We are already putting this to use for mold making in our research on soft robotic actuators. 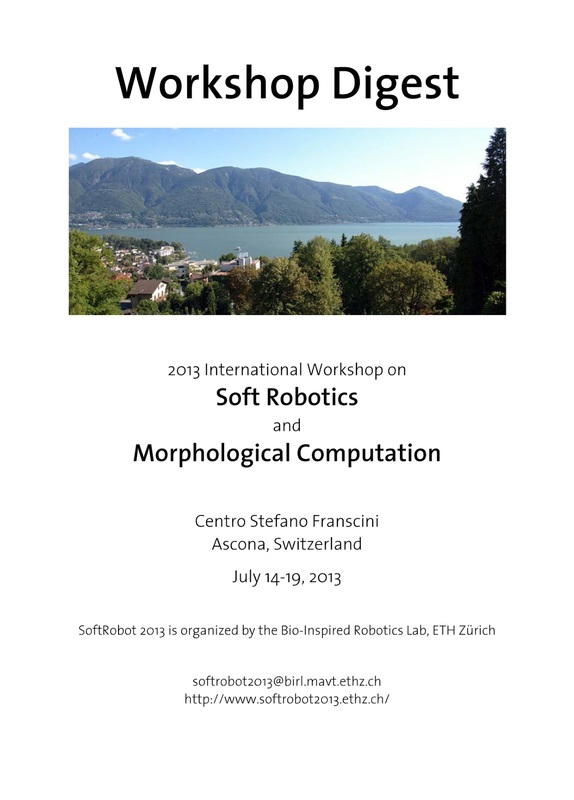 Last week Dino Rossi participated in the ETHZ Summer School on Soft Robotics. An article co-authored by Dino Rossi of the ASL and Manuel Kretzer of CAAD ETH has been selected for publication in journal Leonardo. The article focuses on the ShapeShift project and the potential of electro-active polymers (EAPs) in architecture. 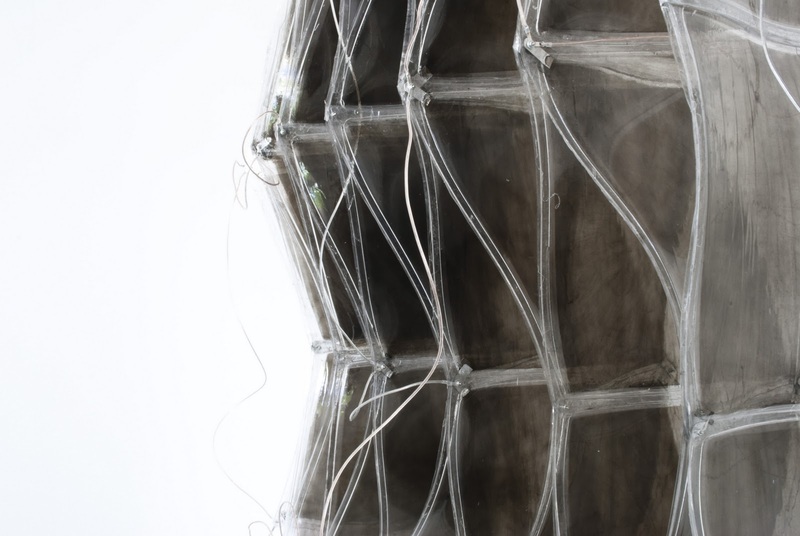 ShapeShift was a group master thesis carried out by Dino Rossi, Edyta Augustynowicz, Stefanie Sixt and Sofia Georgakopoulou in the MAS CAAD program at the ETH in 2010. Our paper titled "Adaptive Distributed Robotics for Environmental Performance, Occupant comfort and Architectural Expression" has been accepted for the International Journal of Architectural Computing (IJAC) special Issue on Architectural Robotics. The Adaptive Solar Envelope is featured in the March issue of the ETH Globe Magazine. Our paper entitled "Sustainable Architecture and Human Comfort through Adaptive Distributed Systems" has been selected for publication at the IEEE Pervasive Computing Conference (PerCom) 2012. 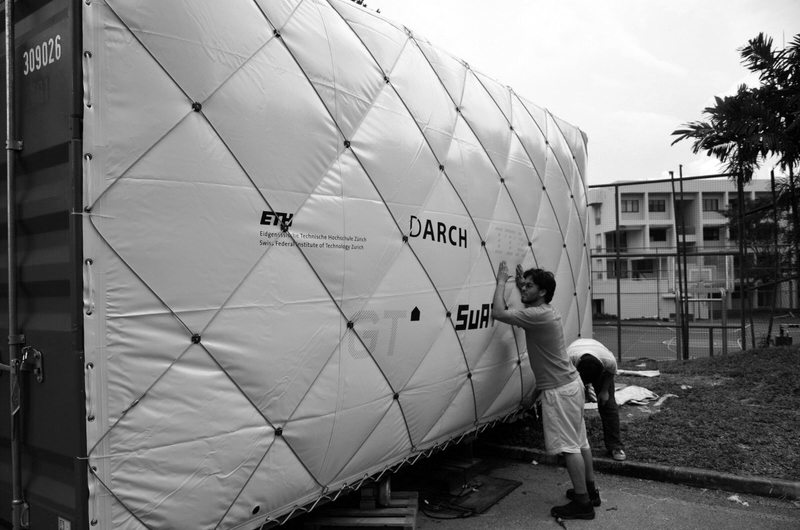 Some months back we collaborated with the ETH Zürich DArch Building Systems group (GT) on developing a mobile lab to demonstrate their Distributed Building Systems. The role of the ASL was to design an Inflated Skin for a pair of shipping containers as a first defense against the high solar gains of the Singapore climate. This project is part of the Future Cities Lab. The containers are now on site and the first test inflation of the skin took place a few days ago. 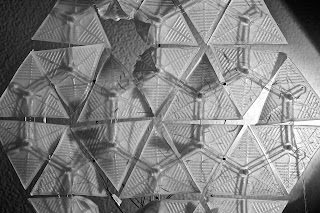 The Adaptive Solar Facade project will be presented at Bauhaus.SOLAR this November. ETH Zürich architecture students Eva Lüginbuhl and Julien Bellot have joined the Adaptive Systems Lab as student assistants. 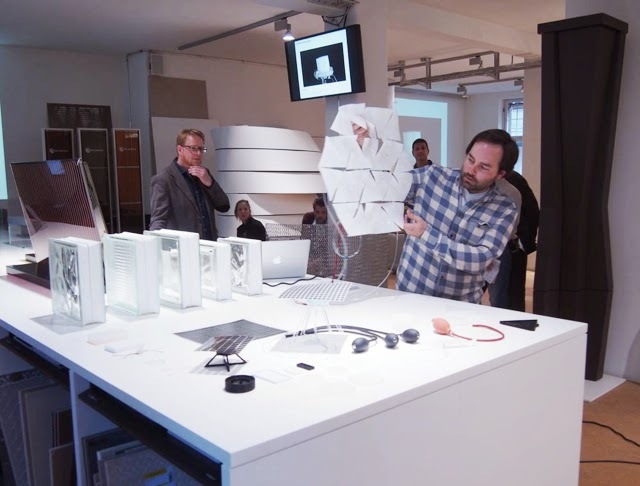 Adaptive Solar Design Workshop held at the ETH Zürich department of Architecture. Dino Rossi participated in the Inhabiting Adaptive Architecture Workshop at the Adaptive Architecture Conference in London. The workshop was organized by Holger Schnädelbach and Jonathan Hale of Nottingham University. The Adaptive Systems Lab (ASL) established as a research group within the Assistant Chair for Architecture and Sustainable Building Technologies (SuAT), ETH Zürich. Dino Rossi // SuAT. Powered by Blogger.